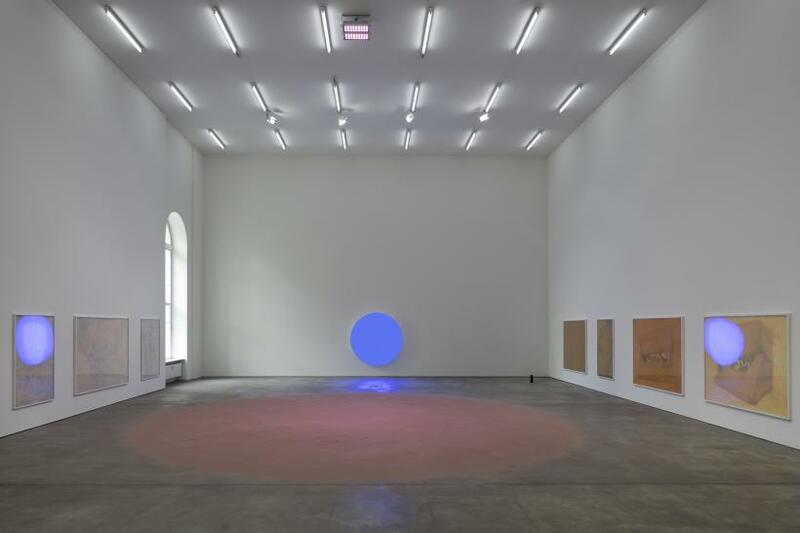 The Swiss artist Pamela Rosenkranz is interested in the invisible phenomena that affect the material world. Behind a sensual aesthetic, her work is subtly subversive. 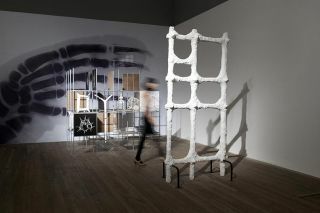 Rosenkranz often draws from consumer research, notably the effect of toxoplasmosis, a parasite said to infect 30% of the world population and researched for influencing a series of human behaviours, including fear, spending habits, physical attraction and most relevant to the concept of her inaugural solo exhibition at Sprüth Magers Berlin, human fondness for cats. 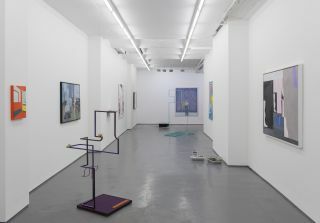 Felines are the common thread that links all the works in the show, which include a series of new paintings and two elaborate installations. The title of the exhibition, ‘She Has No Mouth’ refers to the famous Japanese cartoon character Hello Kitty, designed without a mouth to avoid prescribing ‘her’ to a specific emotion. 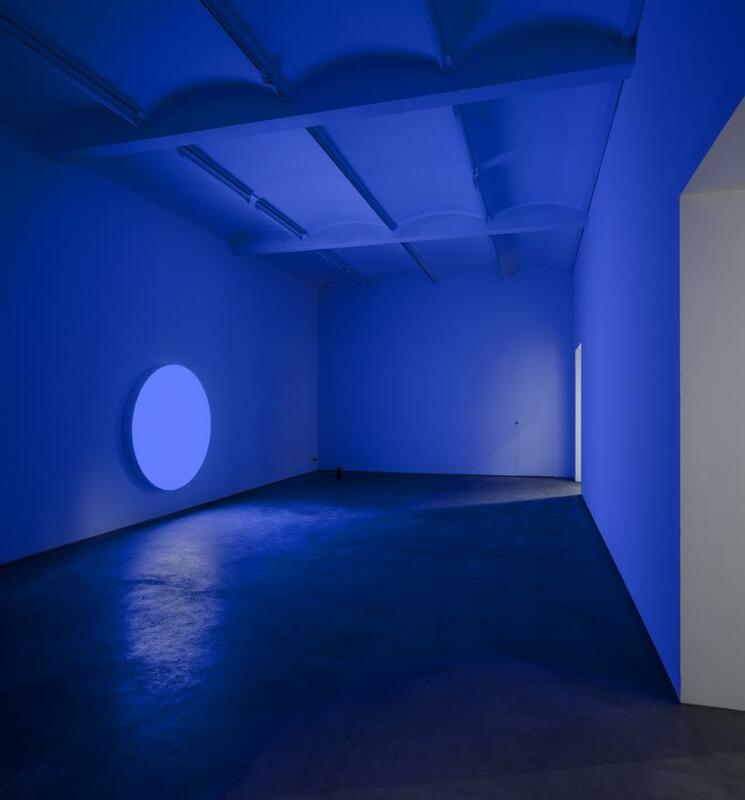 Upon entering the gallery, the visitor walks through a portal illuminated by a deep blue light coming from a large disc on the wall that is not without visual affinity to Anish Kapoor. The cobalt light, simultaneously forceful on the senses and somehow alluring, is known for possessing the shortest wavelengths and thus produces the highest amount of energy. On a physical level, it is known to trigger heightened sensual stimuli to the surrounding environment. 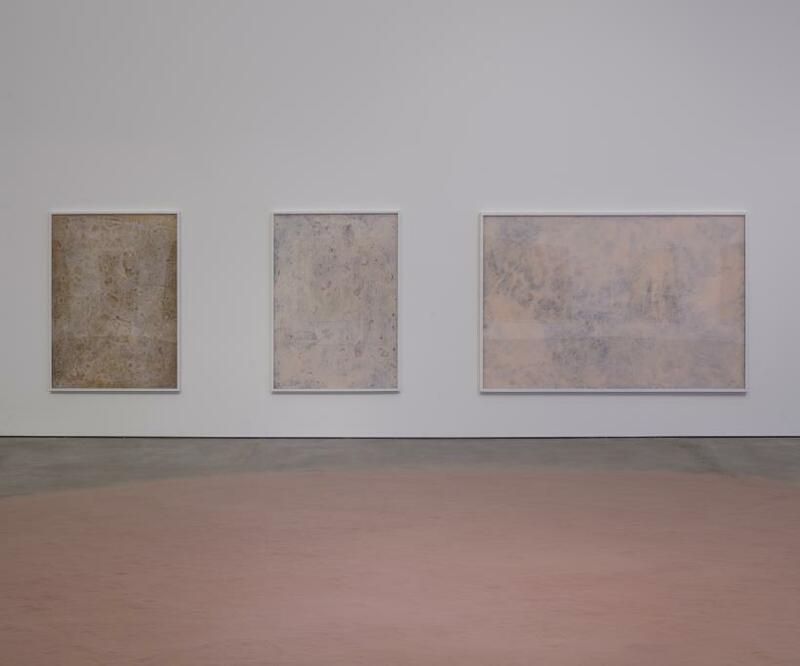 In the second and largest room of the exhibition, a series of neutral-coloured paintings hang on the wall. Upon close inspection, they show silhouettes of cats and fur patterns on a surface painted using Rosenkranz’s signature human-skin palette. 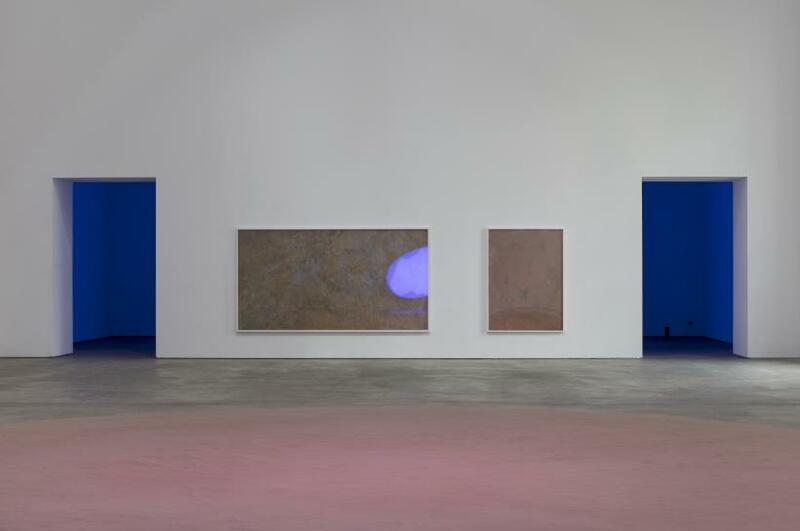 A large supply of rose sand forms a blush pool on the floor that is illuminated by the same blue light seen in the previous room and installed transversely to the entrance of the room. This large aromatic pile of sand releases Civetone, a pheromone believed to influence cat behaviour and used in an array of household products and luxury fragrances, including Obsession for Men by Calvin Klein, a perfume so potent it is often used to snare large wild cats such as jaguars. On a photograph, the overall room might look like a minimalist landscape: a blue sunset over a sour-candy desert landscape. But the elegance of this arrangement is busted by a sound piece called ‘Amazon Echo (Conversation With a Cat)’ which explores the ‘meow’ first as the result of domestication by human – it is widely believed that cats did not naturally meow prior to contact with humans – and the subsequent cultural meaning of the sound as a symbol for seduction and sexual attraction. Rosenkranz is interested in the hidden forces that have a covert effect on our lives. She explained to Charlotte Jansen last month that ‘our daily lives are increasingly exposed to effects that we have not much awareness of, and it’s these potentially very powerful hidden forces that I’m interested in.’ But what is undoubtedly equally interesting in her work, is her focus away from the predominant discourses of identity politics that permeate the art world today and a reinvestment towards an understanding of the human experience as a process of domestication. 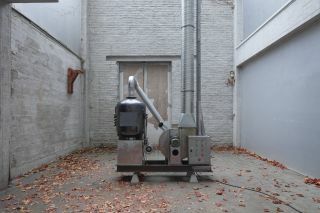 Rosenkranz’s practice sheds light on the sublimation of primal instincts and their subsequent recovery as marketing techniques or commercial instruments.